It’s extremely difficult to find a company that you can trust with your valuables, Top Line Moving & Storage recognizes that. That is why we treat our valuables as if it belonged to us. 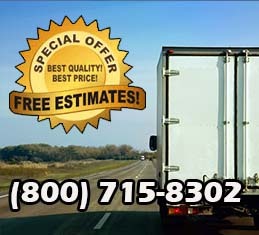 Our staff of professional movers are trained to use the proper techniques, as well as the latest equipment. Together with experience, hard work, and professionalism, our local movers can move even the heaviest of office items. We are licensed and insured and take our job extremely serious and we have the reviews to show it (click here to see), our staff are always available 1-800-715-8302 call us for a FREE ESTIMATE or just to get advice about a future move. We also welcome last minute moves. Just a few reasons to go with Top Line Moving and Storage. Our staff of professional movers are trained to use the proper techniques, as well as the latest equipment. With Top Line Moving, you are in good hands from the moment you book the move until the last box is unpacked at your new home. Top Line Moving utilizes all of the latest equipment and technology that is available to the relocation industry for a successful move.